Whether you see their benefits or not, you'll have to learn to live with them, so it is advisable to know all you can on the topic to ensure you stay safe and legal. The first speed camera – or safety camera, to use the official terminology – was installed on the A316 over Twickenham bridge in 1992. It was a Gatso device, and the trigger speed was set at 60mph: the A416 had a 40mph speed limit. 22 days after being turned on, it caught nearly 23,000 drivers speeding at over 65mph. Why do we have speed cameras? Figures from the Royal Society for the Prevention of Accidents (RoSPA) reveal that inappropriate speed contributes to 12% of all injuries, 15% of serious injuries and 26% of deaths on the road. Almost 400 people are killed each year on Britain’s roads, and 2,500 are seriously injured, because drivers and riders travel too fast - that’s according to RoSPA, which argues that high speeds mean a driver is less likely to react to what is happening around them. To help combat this speed cameras are often placed in notoriously accident-prone areas, to have the most significant impact on reducing speed related injuries and deaths. This led to the establishment of safety camera partnerships between councils and the police, partly funded by the government - although in 2007, funding for these was reduced, and cut further in 2010, leading many regions to turn off speed cameras. Can I drive 10% + 2 above the speed limit and not get caught? 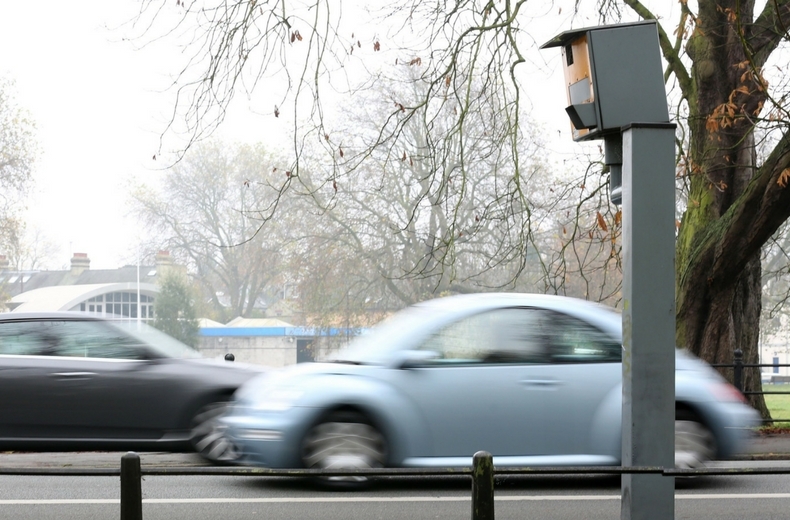 ​Fixed speed cameras have a set trigger for catching people speeding, however, it is unconfirmed what most are set at so it's not worth gambling and assuming they give you 10% - never exceed the speed limit. 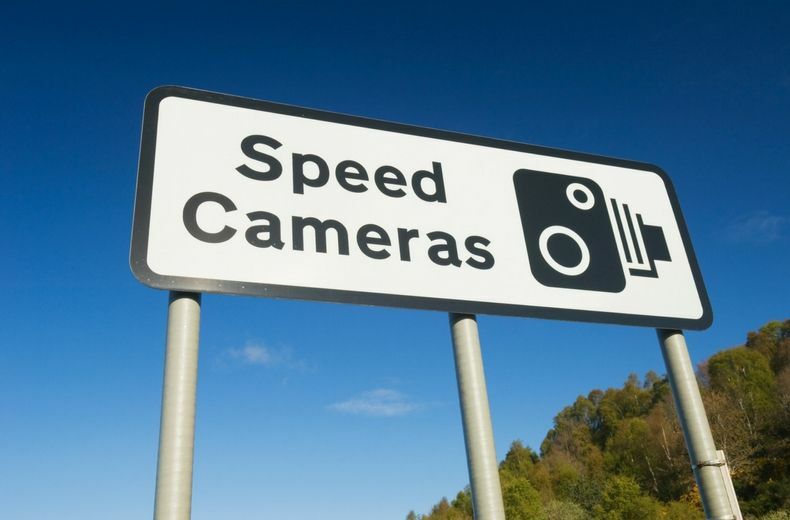 Mobile speeding cameras are operated by individuals, so it is up to their discretion to issue you a speeding fine - or worse - if you are over the legal speed limit. 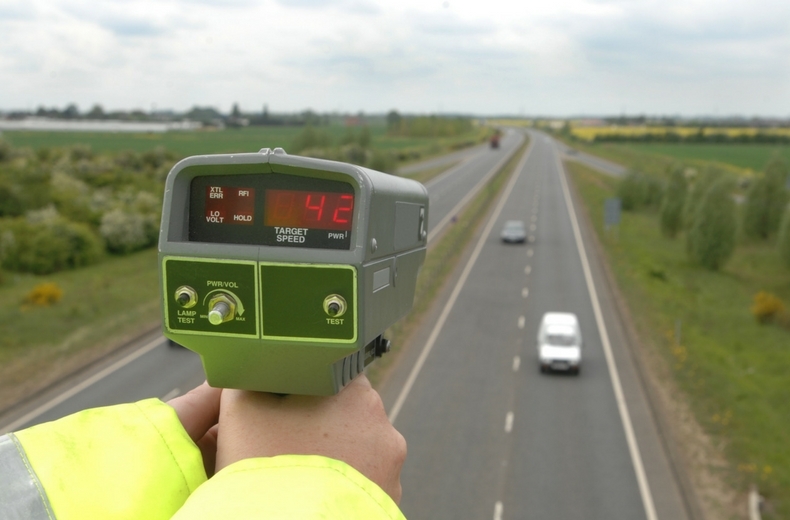 The law states that you are liable for a speeding fine as soon as you exceed the limit, so if you’re doing 31mph in a 30 limit or 71mph on a motorway, you’re breaking the law and could receive a fine. The National Police Chiefs’ Council (NPCC) recommends giving drivers a so-called ‘10% plus 2’ leeway, to aid police officers in using 'discretion', however, this is just a recommendation, not the law. It is well worth remembering this is totally dependent on the officer who catches the speeder, and it is up to that officer whether to fine the offender or not. The best advice is to not speed full stop. There are many different types of speed camera on the market, but in the UK, a few key types are most common. 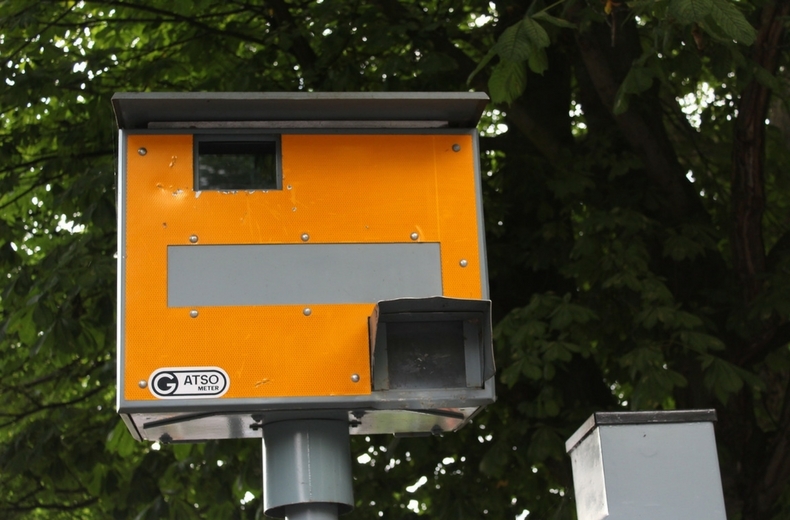 The Gatso was the first speed camera to be installed in the UK and has become the most commonly used camera on UK roads. Back in 1992 they were painted grey, but a change in the law meant that they have to be painted bright yellow. 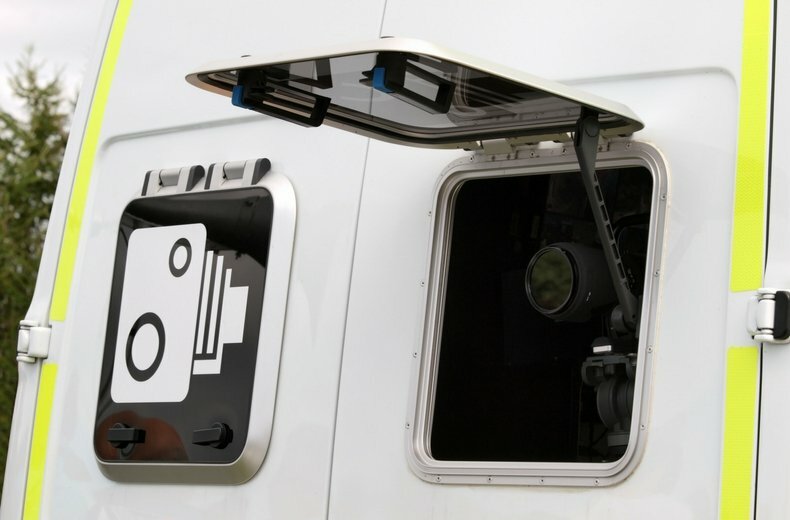 The rear-facing Gatso might be the most ‘popular’ camera on the road, but it’s accompanied by the Truvelo, which uses a forward-facing camera to catch speeding motorists. Unlike the Gatso, it photographs the driver at the wheel, meaning there’s no disputing who was at the wheel at the time of the offence. The majority of these are run by local police forces and reside on accident blackspots where there is a history of road traffic incidents over a three year or more period. There are also mobile speed cameras used as part of safety camera partnership teams and speed safety campaigns. These cameras can take on a number of forms, working from marked or unmarked cars, as well as being manually operated by police officers using radar guns and laser guns. There are many FAQs about mobile speed cameras, especially radar guns, so we have answered a few of the most common queries below. How far away does a mobile speed camera work from? On a straight section of road the typical range for a mobile speed camera is two miles. Can you get caught behind another car? As long as the speed camera operator can see and target your vehicle they will be able to get a reading of your speed. This is because the laser beam emitted by a mobile speed camera when it hits your vehicle, can be as small as 10cm in diameter. How long do I have to bring my speed down? If the speed limit changes you have to be travelling at that speed the moment you are within the limit boundaries (as soon as you pass the sign). This means if a speed limit changes from 40 to 30 you will have to bring your speed down to 30 in advance of entering the zone, not begin slowing down as you enter it. Can a speed enforcement camera in a van catch people while it's moving? Mobile speed cameras typically work out of parked vans, however, they can still catch motorists from a moving vehicle. Can a mobile camera detect your speed on the opposite side of the road? Yes, a laser gun is able to take accurate reading of a vehicle’s exact speed as long as it is aimed at the target. SPECS camera were introduced in 1999 and are becoming an increasingly common sight on UK roads. They use Automatic Number Plate Reading (ANPR) digital technology to record a date and time stamp as you pass between two cameras, enabling the computer to calculate your average speed. Figures suggest that 263 miles of the UK’s roads are covered by permanent average speed cameras, including the 99-mile stretch on the A9 in Scotland. They're a common sight on motorways, and you’re likely to encounter average speed cameras at roadworks, as well. 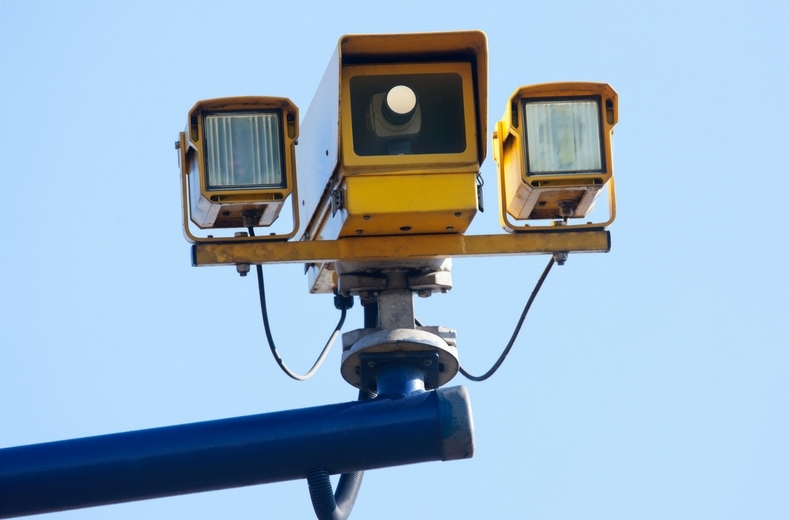 Variable speed cameras work in a similar way to average speed cameras, but they’re unlikely to be in operation 24/7. They tend to be used on smart motorways when the speed limit is lowered to ease congestion or in the event of poor weather or some other hazard. 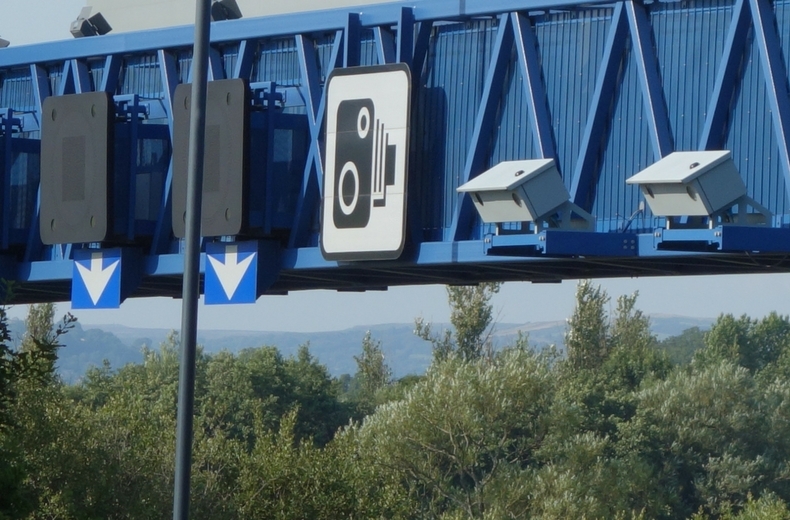 The speed cameras are situated on the overhead gantries and the limit will be displayed on a series of signs.